We are planning a 4-day deep-dive technical session on AppScan and ASoC, lead by development and support. 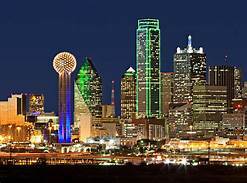 It will take place in Dallas, TX on June 17-20 and is designed for current AppScan customers. Please let me know if you're interested by registering and I will keep you updated! This deep dive education track covering the range of IBM AppScan products as well as Application Security on Cloud (ASoC) will be presented by subject matter experts from development, support, services and technical sales. The track will cover latest product features, deployment best practices and effective techniques, resolving and avoiding most common technical issues, public and hybrid cloud deployment options and more. You will be able to engage and share your ideas, perspectives and experiences with your peers to gain the insights necessary to achieve your unique goals. This track is intended for technical audience that already has hands-on experience with IBM AppScan or ASoC. Attendees should have a minimum of 1 year hands-on experience with IBM AppScan or ASoC. This session will assume a base level of familiarity with DAST, SAST and foundational AppScan/ASoC product knowledge. As such, it will NOT be beginner-friendly. We expect a lot of interest and are looking to engage with interested customers.